Long gray hair, a snow-white full beard, and a bold, uninhibited look—Kang Muxiang’s appearance matches his indomitable yet gentle personality. 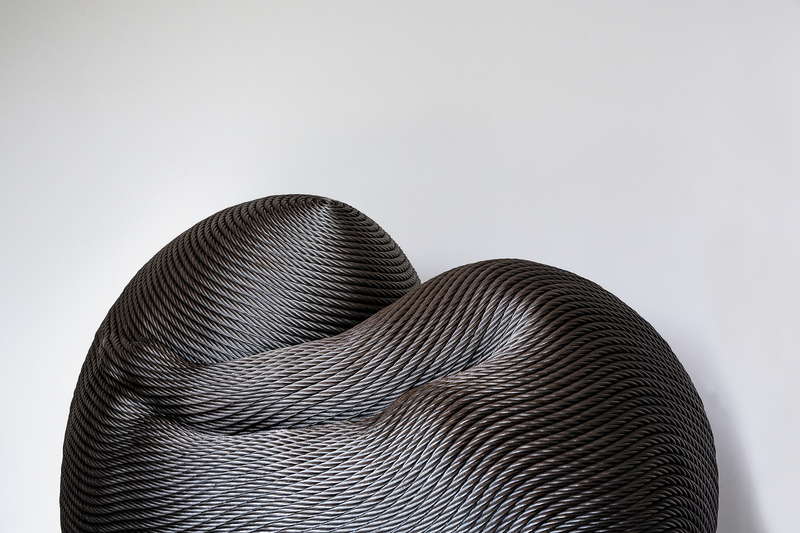 In the process of creating with steel cable, every twist and bend is an extreme challenge for Kang Muxiang. 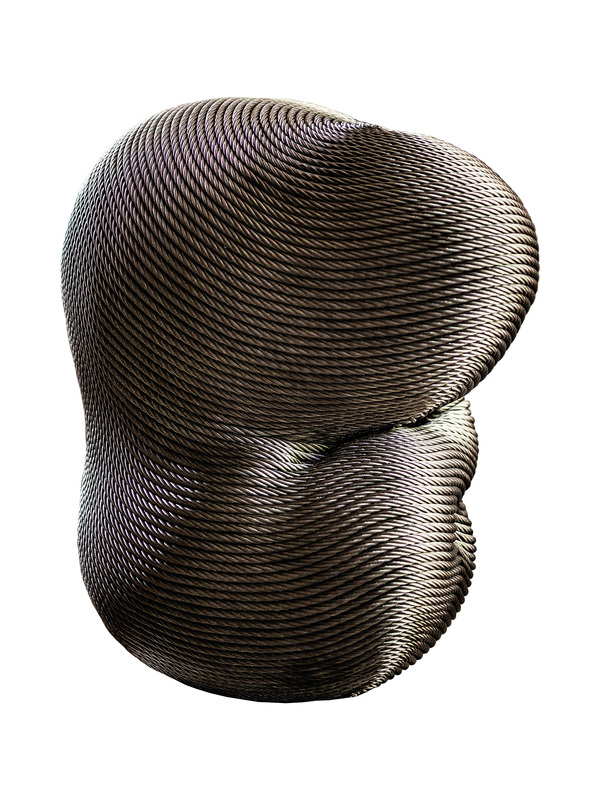 Infinite Life, Kang Muxiang’s first foray into sculpting with copper cable. Through the patience and perseverance needed for cleaning the cables, and their expectations toward future art exhibitions, the lives of imprisoned men become settled, helping them turn over a new leaf. Twin Life weighs 3.7 tons and is 3.2 meters tall. It is Kang Muxiang’s latest work, created after exploring Twin Oaks in Washington, DC. 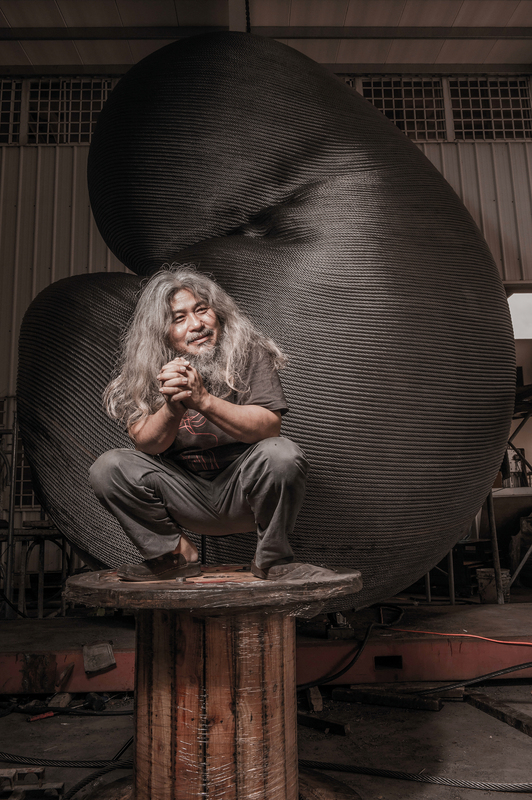 These works that combine the strength of steel with the gentleness of their smooth and rounded forms are symbolic of the courage and perseverance of Taiwan’s people.